Welcome to the website of the Committee on Culture and Education. Here you will find information about our work such as meeting agendas, draft reports and amendments as well as details on the Members of the Committee, including how to contact them. You can also follow our meetings live via webstreaming. Our Committee is responsible for all the cultural aspects of the Union such as the dissemination of culture, cultural heritage, cultural and linguistic diversity, as well as for education, the audiovisual policy, the cultural and educational aspects of the information society, youth and sports. The European Parliament plays an equal role with the Member State governments in adopting new laws and supervising the Union's programmes in these areas. 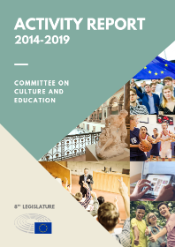 In that regard, our Committee is responsible for the ‘Erasmus +’ programme for education, training, youth and sport, ‘Creative Europe’ which supports European cultural and creative sectors and the ‘Europe for citizens’ programme. The Committee also regularly holds public hearings to gather evidence from experts in the fields of its competence. 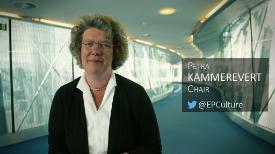 It is an honour to be Chair of this Committee and I hope that this website will help you to follow its work.